Organic Chia Seed oil is packed full of skin loving omega 3 making it perfect for nourishing your skin. Blended with macadamia and a touch of raw organic coconut and tangerine for a subtle citrus scent, our organic body oil not only deeply hydrates your skin but its combination of potent bio active oils protects and fortifies your skin barrier function. This divine skin soothing and smoothing blend is perfect for all skin types. 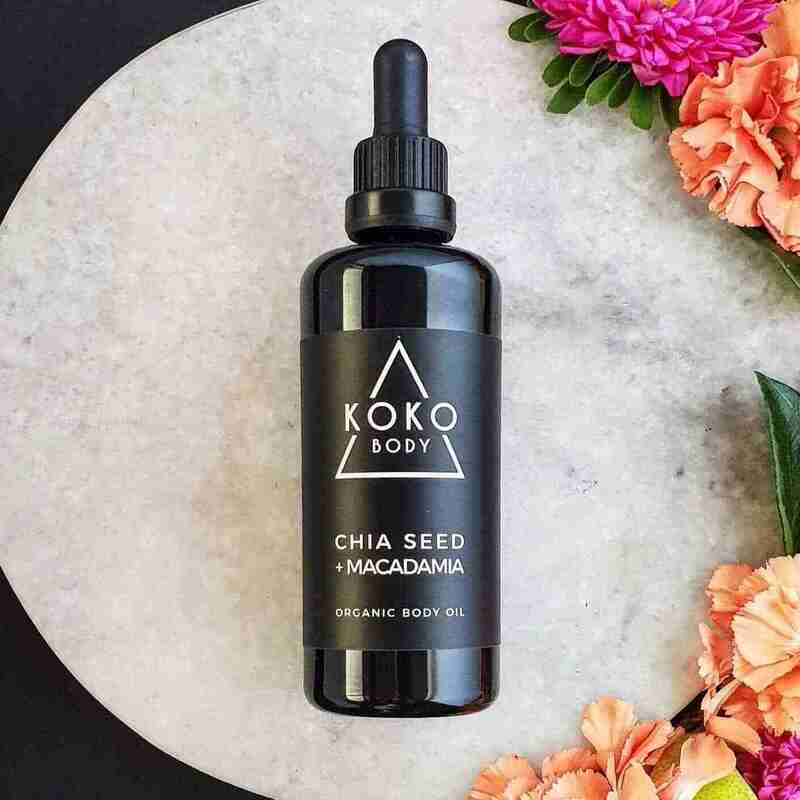 A potent blend of Omega 3,6, 7 and 9, our gorgeous smelling Chia Seed and Macadamia Oil is super nourishing and penetrates deeply to hydrate the whole body. 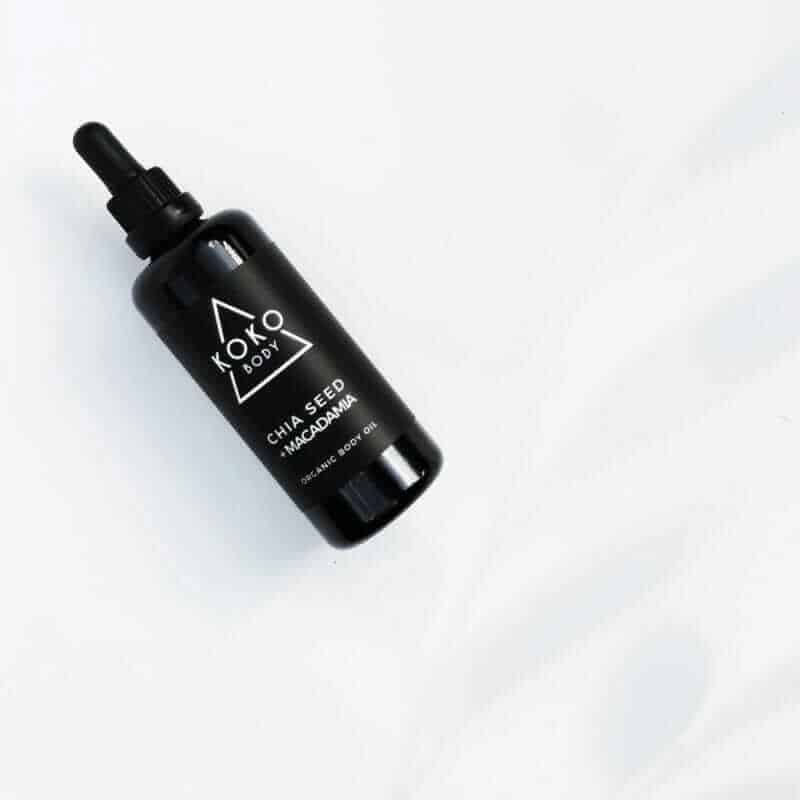 The fatty acids in this oil can help fight the signs of aging such as wrinkles, dehydrated skin and fine lines with their regenerative softening qualities. Non greasy and easily absorbed your skin will soak up all the botanical goodness contained in this blend. Apply 2 or 3 drops to damp skin after showering for best results. Can be applied to dry skin too. Layer up slowly to allow oil to absorb and avoid greasiness. Can be used as a nourishing bath oil too. Just add 3 or 4 drops to the bath after filling the tub. Please note this oil contains fairtrade raw coconut oil which is susceptible to temperature change – especially cold climates. If you notice little white beads in your oil it is just the coconut oil hardening. Simply close the bottle and roll between the palms of your hands to heat a little before applying to skin.